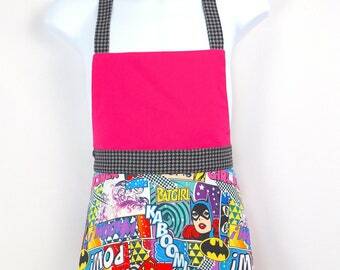 Announcement Handmade Retro and Pop culture inspired aprons, skirts, bags, and accessories by Sabrina Clementine. To hear news first and for Sneak Peeks, sign up for my Newsletter and check out my Instagram Stories! 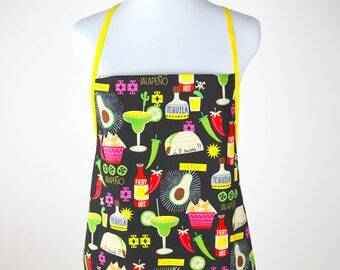 An apron for the baker, cook, crafter, or gardener. 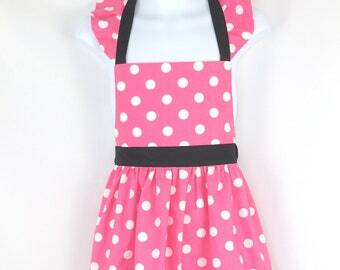 A mommy-and-me apron set for your favorite crafting or baking duo. 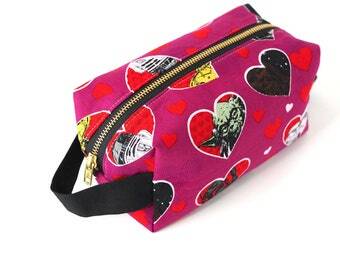 A toiletry bag for the constant traveler. 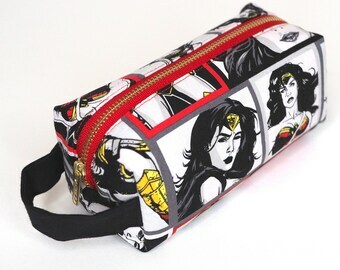 A geeky zipper bag for the coolest geek you know. No matter who you are shopping for you've come to the right place! Flat zipper bags can be used to store a spare battery and charging cables for your phone, school supplies (pencils, markers, highlighters, art brushes, scissors), or even your Nintendo 3DS. 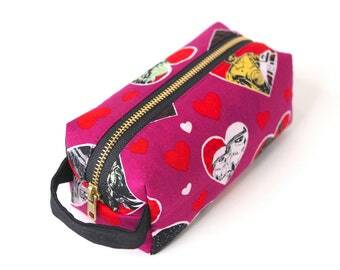 Small Boxy Bags are a larger option for school supplies, or as a makeup bag, and to hold minor toiletries to freshen up when you're away from home. If you're a photographer, you can fit a few small lenses side by side. Large Boxy Bags will hold much more! 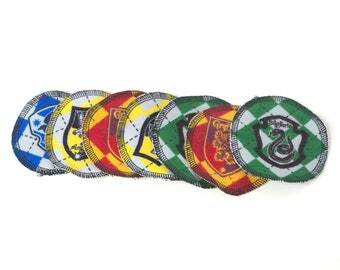 These are perfect for use as a Dopp Kit when traveling, or to carry your toiletries when going to the gym. If you're a photographer you can fit some larger lenses in here easily! Whatever the use, we have a bag for you! Need a custom order? Contact me! 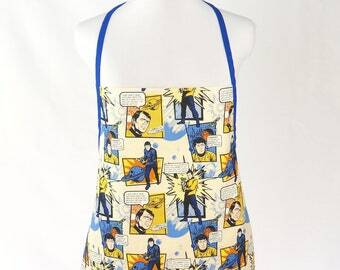 Handmade Retro and Pop culture inspired aprons, skirts, bags, and accessories by Sabrina Clementine. Very well made, pretty bag. 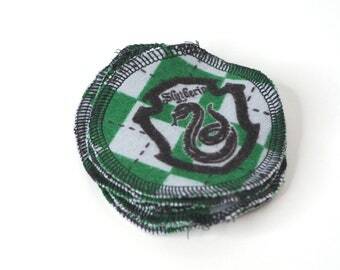 Nice Etsy Seller! Heads up! 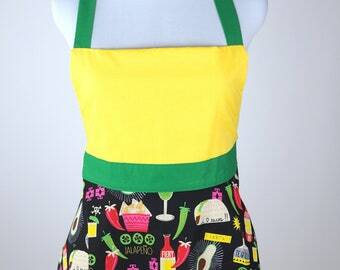 The Star Trek apron is back in stock and ready to ship!! 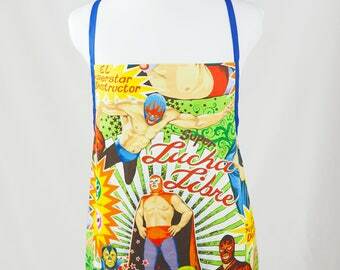 Luchador fabric is back in stock, which means I'll have new aprons available soon!! For now you can preorder to make sure yours ships out first! Good news! 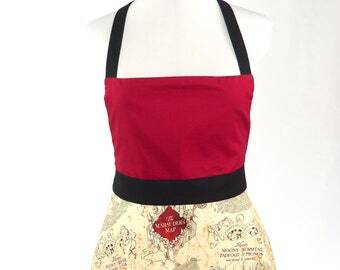 The Marauders Map aprons are no longer preorders! This means no wait time. 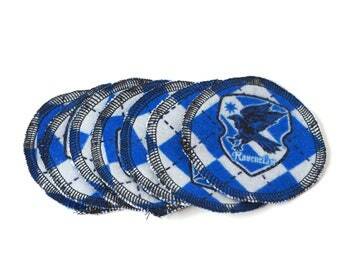 They're ready to ship as soon as you order! Hi! I'm Sabrina, the maker behind Be My Clementine. 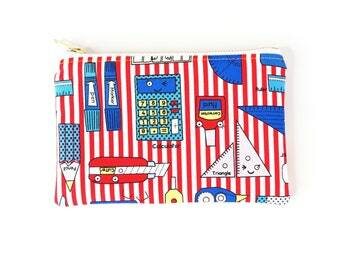 Hello, and thank you for visiting my shop! 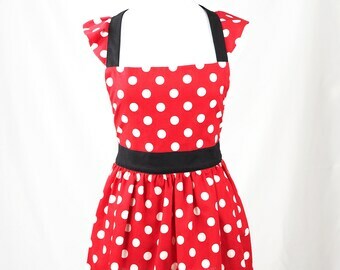 Be My Clementine is home to my Retro, Pop culture, and vintage inspired skirts, aprons, bags, and home accessories. 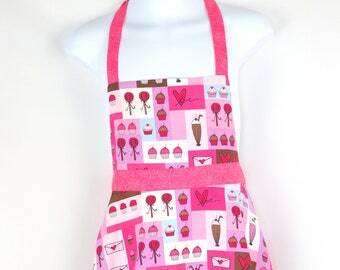 It is a one-woman shop run by me, Sabrina, out of my home studio just outside of Miami, Florida. I have always loved fabric, particularly playing with prints and exploring the different ways you can combine fabrics to create unique looks. I hope that sentiment shines through in my products. At the same time I hope you are able to find something in my shop that perfectly reflects you, your tastes, and your personality. 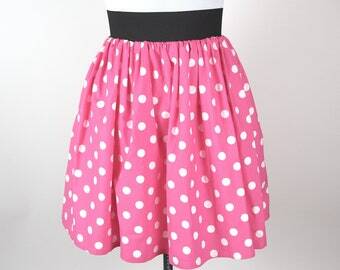 My newest product includes a line of SKIRTS! This has been a long time coming, and I'm so happy to make it a reality! 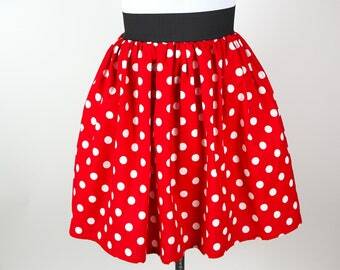 You can expect to see skirts in the fun, geeky, sometimes weird, always colorful fabrics you can associate with Be My Clementine. 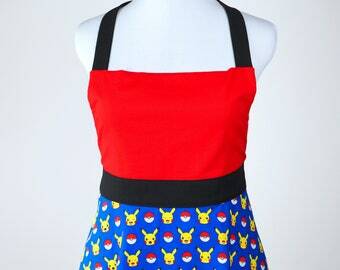 And best of all, POCKETS! I hope you enjoy browsing through my shop, and if you have any questions at all feel free to message me. I want you to be happy shopping with me, so if you aren't satisfied with your order for any reason send me a message first so we can work out a way to remedy the problem. 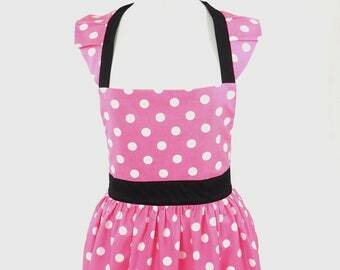 Free shipping for returns and exchanges will only be provided for products shipped with defects. Payment is expected immediately after order has been placed. Items will be shipped after the payment has been received and cleared. I ship within 1-2 days via USPS first class mail. 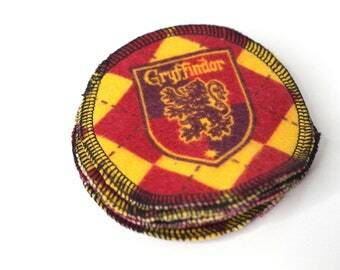 For custom or pre-order items please allow additional time for processing (will be included in the listing). If you need something more quickly and prefer another shipping method or would like to add Delivery Insurance, please send me a convo prior to paying and I will adjust your shipping charges to reflect the upgrade. International Shipments will be sent First Class Mail International. Buyer is responsible for any custom fees or taxes in their country. Delivery insurance is an additional cost. If you would like to place a custom order please contact me! 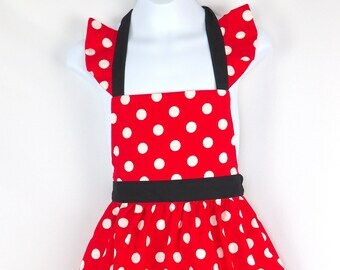 Many of the fabrics used for aprons can also be used to make custom zip bags, napkins, table runners, etc. I'm happy to discuss the possibilities with you! Pre-treat any stains, then machine wash in cold water. Tumble dry low and remove from the dryer promptly. Ironing is recommended, use cotton fabric setting. Pre-treat any stains. Handwash with mild soap and water. Air dry or if using a machine, tumble dry on low or delicates setting. Spot cleaning is recommended in order to maintain shaping. Lining can be partially pulled out to make cleaning easier. 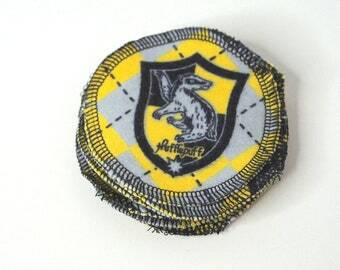 Air dry, and iron on cotton fabric setting. Spot cleaning with mild soap and water. Do not iron.